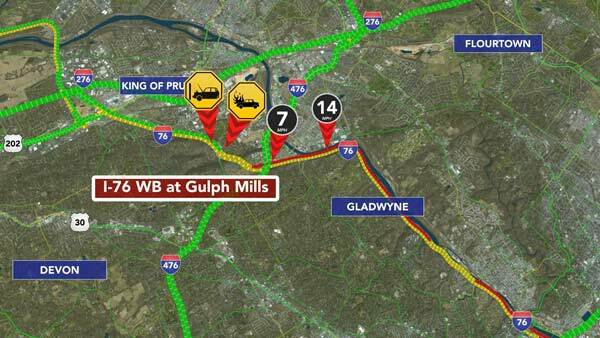 A crash caused a major backup on the Schuylkill Expressway westbound towards King of Prussia. The jam ran from the Roosevelt Boulevard to Gulph Mills. The accident occurred around 6 a.m. Tuesday. A vehicle fire was also reported in the same area.